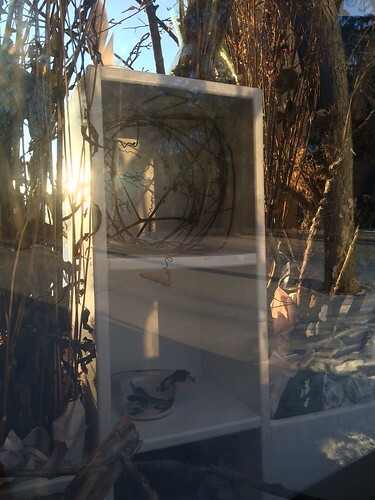 This post is by Pegi Christiansen, a Lynden artist in residence through October 15. Learn more about her Distance project here. Jeremy Stepien was a student of mine at the Milwaukee Institute of Art & Design in the nineties. For “Winter Forest” Jeremy, Lynden’s Director of Education, was my teacher and advisor. He asked this important question: “What will happen to the display at the end of the carnival?” It took several months before I came up with the solution. In October I met with Brian to discuss “Winter Forest.” No one had mounted a display inside Sightseer since it came to Lynden last summer (Brian had made the piece in 2011 while he was a student at the Minneapolis College of Art and Design, and it had been used in various ways before arriving in Milwaukee). Brian requested that everything I placed in Sightseer come from Lynden. In January I made three planning trips to Lynden. I spent time inside Sightseer and measured it carefully. Jeremy showed me all the types of items, like vases, I could use to help with the display and I experimented with eight basic designs before I selected the one I wanted. On January 30th, I started making “Winter Forest.” Naomi Cobb, Lynden’s naturalist, asked me whether it was primarily planned or being made on the spot. I told her it was a blend of both. 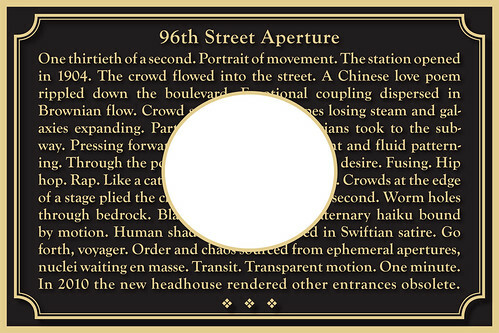 Sightseer only has one door and is less than six feet wide. I had to plan carefully because I needed to work from the far end toward the door. Once I arranged an area, I could no longer reach it to make changes. At the same time, I was totally winging it. I spent 25 hours over five days musing inside Brian’s very special “think-space” and my head popped with ideas about where to place particular items I had collected. It was at this point that Naomi told me that she was going to have a bonfire during the Winter Carnival. What a perfect conclusion to "Winter Forest": to burn all the branches and wild weeds during the final hour. Jeremy's question was answered. 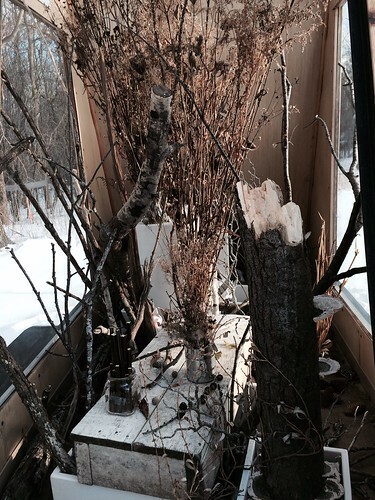 I spent twelve days making “Winter Forest.” It would be on view for five hours, and then it would become ashes. 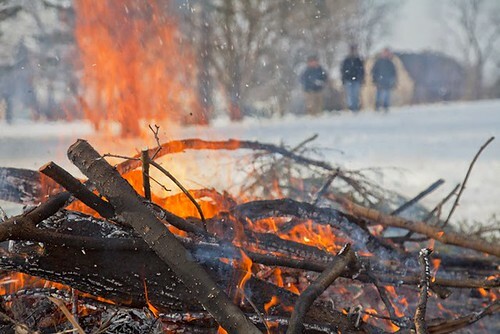 At 3 pm on February 7 as the Winter Carnival wound down, friends and carnival visitors, as well as several children very eager to throw things on the bonfire, gathered around me. 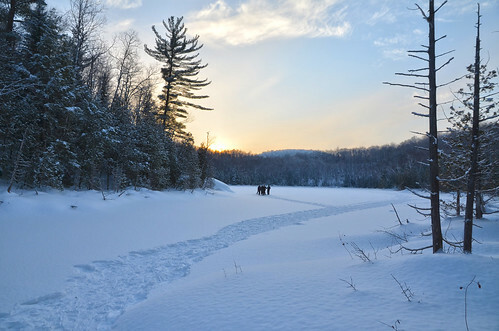 I was alone for those twelve days of making, so it couldn’t have been sweeter to have a group of children and friends carrying everything over to the flames as we unmade "Winter Forest." 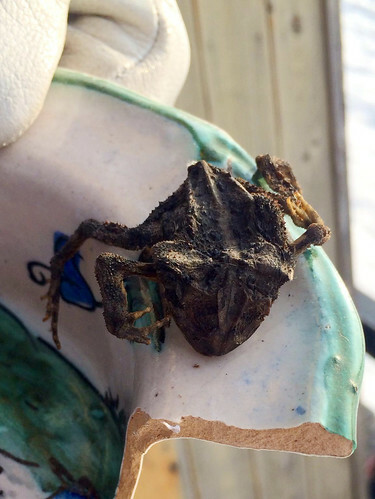 Sweetest of all was a child, Caroline May, who named the dried dead toad “Hubertus.” I saved Hubertus for her and brought it to her home. “Winter Forest” lives on. The instant I picked up Wendy Hamilton, Healthy Neighborhoods Program Manager for Sherman Park Community Association on Fond du Lac Avenue November 10, I became lost in thought. My father was a mapmaker for General George S. Patton during World War II and I pride myself on using real maps (not GPS) and getting where I need to go without making mistakes. However, I was so caught up in my conversation with Wendy (on a very easy drive straight north on Sherman Boulevard) that I had to backtrack twice. When I am with visitors at Lynden, along with talking about distance, the one other thing I need to do is make sure to take a picture. I forgot to do this. Instead, Wendy sent me a photo from inside her home in Sherman Park. It gives you a sense of how vibrant she is. I have known Wendy since 2007, but have never spent time with her outside of the SPCA office. I knew it would be special to have one-on-one contact with her. Just like with the planners from West Allis a week earlier, we talked about distance nonstop, but in a way I never imagined. Wendy had carefully considered the topic and knew what she wanted to say. I was riveted. Once at Lynden, Wendy told me, “Distance equals peace.” Wendy grew up in Sherman Park and lives in the neighborhood now. She said, “I am a city girl and love it, but I also care about being close to the earth.” She believes everyone should be able to experience both the urban and the rural. This means taking her two daughters, who want action and excitement, to places where teenager Afrika first says, “This is too quiet.” Afrika soon starts to soak it in and imagines her daily life in these places and spaces. Fourth grader Nadiatier believes they have left the state when they drive to a rural community. Wendy is searching for ways to bring the untroubled and natural environment of Lynden to Sherman Park. Living in an urban environment can be stressful. 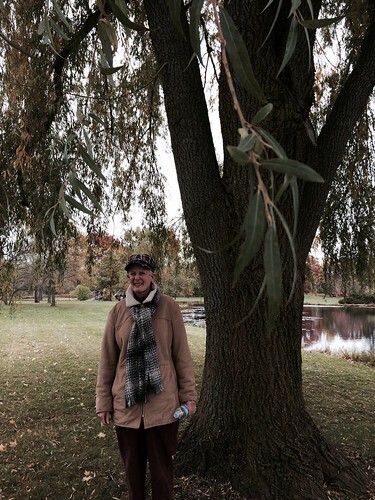 Wendy believes bringing tranquility to Sherman Park will “bring peace to the landscape of people’s minds” as well. We discussed lots of ideas. It would be possible to create prairies in vacant lots. You could plant a dense forest area in Sherman Park. You could create spaces that would attract birds and other wildlife right in people’s backyards. Lynden could be a part of this process. 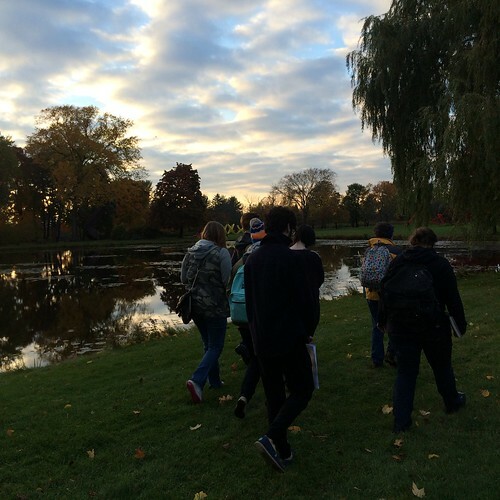 Lynden's education staff offers field trips for school groups that invite students and teachers to observe and inquire about place, nature, and art. Participants then explore ways to bring the things learned at Lynden back to their own schools and neighborhoods. These visits keep surprising me. 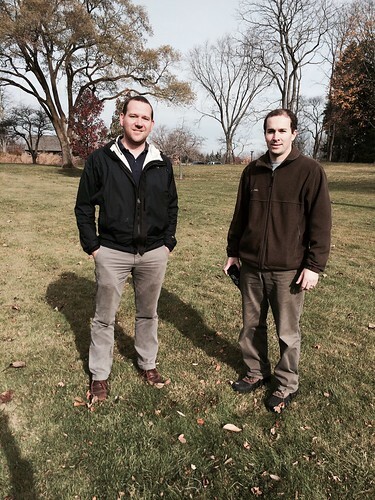 On November 5, I picked up City of West Allis planners Shaun Mueller and Bart Griepentrog. During our two hours together that morning, I didn’t ask any of the questions from my list. We discussed distance in all sorts of new ways. I reside 23 miles away from Lynden in Greenfield. Since moving there in 2009, I spend more time in West Allis and find it intriguing. West Allis has more history and breadth than most Milwaukee suburban communities. We stopped in at Executive Director Polly Morris’s office and she agrees. She has a background in history and when she moved to Milwaukee in 1987 one of the first places she visited was the former Allis-Chalmers site in West Allis. One of the reasons I asked Bart and Shaun to come to Lynden with me is because, like Lynden, West Allis is an undiscovered treasure for too many people. When I summarized the history of Lynden on the drive out, Bart remembered hearing that the sculptures at Lynden almost ended up at the Milwaukee Art Museum. We asked Polly about this. She said after Jane Bradley Pettit died in 2001, her descendants debated donating the sculptures to the MAM. The family decided to open Lynden to the public instead. We also spoke with Polly about former artist in residence Roy Staab, who lives in West Allis. For the city’s 100th anniversary in 2006, the mayor commissioned Roy to create Fountain in the Sky at the West Allis City Hall. Roy made the temporary sculpture out of weeds bound with jute and plastic cording. As we started our walk, I suggested West Allis could designate a permanent site where Roy could create a series of temporary installations. I asked Shaun and Bart about ways in which, as planners, they think about distance. It turns out they are thinking about distance all the time. --How far do people live from shopping, restaurants, and entertainment? --How much time does it take for people to walk or drive to various locations? --Potential employers want to know how far away potential employees live and whether it is easy to get to the airport. Distance can be political as well as geographical. In the four-county Milwaukee area, some people want distance from the city, which increases segregation. West Allis needs to alert citizens about certain land use changes happening in their neighborhood, but only if they live within 200 feet. If you live outside this arbitrary zone, you are not directly notified. The final stop on our walk was by my favorite cluster of permanent sculptures. In the area just south of the bridge are two Linda Howard sculptures (I enjoy watching the way they interact with the sun), Isaac Witkin’s Kumo (it makes me laugh), and Deborah Butterfield’s Hara (the horse looks like it is made out of wood, but it’s really bronze). It turns out Shaun and Bart care about clusters, too. People tend to come to West Allis for one thing--perhaps the farmers market or the Wisconsin State Fair. West Allis wants to encourage people to explore a cluster of things. For example, after shopping at the West Allis Farmers Market, open May through November at 65th and National, what would it take to convince a person to check out Oniomania, a funky gift shop a block away at 6430 W. National? On our way back to the parking lot, Bart challenged all my typical thinking about noise. Although Lynden is pastoral and serene, the sound of cars on Brown Deer Road, a state highway, is audible. Bart said that Cathedral Square, a one-block park in downtown Milwaukee, is actually quieter. “This is because people downtown have alternatives to using cars,” Bart explained. “They can walk or bike, and the cars downtown are driving 25 miles an hour and have to stop about every three blocks for lights.” Bart is frustrated by all the commuters on Brown Deer Road who, in order to escape the city to reach the small communities where they live, in Menomonee Falls or Germantown, destroy the calm for everyone in between. On Wednesday morning, October 22, I visited Lynden with two more members of the Grand Avenue Club. Tuesday had been windy and overcast, but Wednesday was calm and the sun poked out now and then. With no wind, Cathy Litwin, Aaron Leverence and I could see the clouds and trees reflected in the pond. I explained on the drive out that 4000 trees were planted at Lynden when it was converted from cornfields into a private garden for Harry and Peg Bradley in the 1930s (the sculptures didn't begin to arrive until 1962). Cathy told us she has a friend who plants a tree for every grandchild. The first question I asked Aaron and Cathy was, “If you could use a Star Trek transporter so you could step in right now and arrive somewhere else immediately, who would you want to see?” I was delighted to hear from Aaron that scientists have teleported atoms. In the Netherlands this year three atoms were teleported about ten feet. 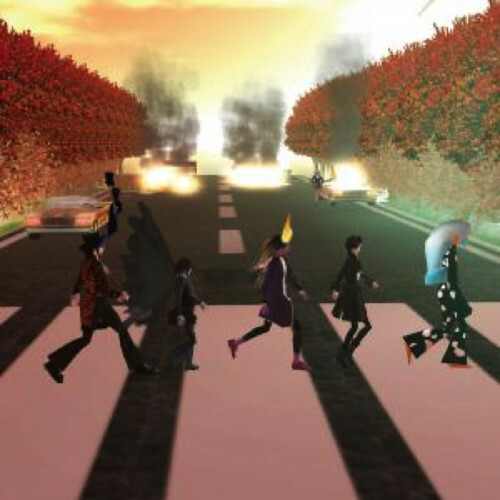 Who knows what might be possible ten years from now? 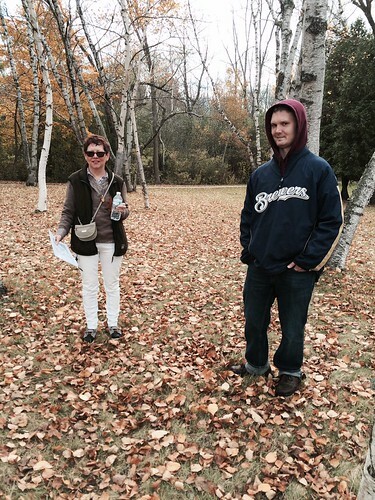 On our way back to the car we walked by a stunning stand of birches where I took a picture of Aaron and Cathy. On the afternoon of October 21, Colleen and GAC members Deb Olson and Herbert Walker came with me to Lynden. Although chilly and windy, we had a spirited visit. Deb taught me a lot and asked good questions. She loves weeping willows, so I took a picture of her under one by the pond. The willow’s leaves remained green, though birch trees nearby had lost all their leaves. She recalled ironing leaves between pieces of wax paper when she was young. This inspired me to bring home some sunlight yellow gingko leaves to preserve. Deb wanted to know what animals we might see. I mentioned coming upon a group of eight wild turkeys by George Sugarman’s yellow-painted aluminum sculpture Trio one morning. Deb told me there are wild turkeys where she lives at 20th and Layton, too. I never would have guessed this was possible near an expressway interchange. One of the questions I have been asking people focuses on how you can feel more distance with someone in the same room than with someone miles away. “Some people are coldblooded and can’t warm up,” said Deb. 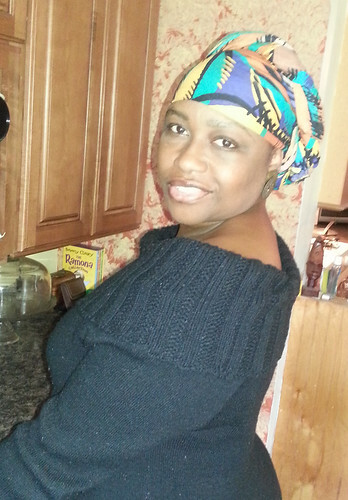 “You can know them for years and years and not get close.” Deb can sense right away if she will be able to make a connection with someone she meets. Herbert had a huge challenge overcoming distance. As a youth, his Aunt Ruby lived in Minneapolis. Her husband drove a bus and Herbert would ride the bus with him when he visited. They got divorced and Aunt Ruby moved to Arkansas. When Herbert was 21 he was visiting her and she had a heart attack right in front of him. No one else was home. He is 55 now and though Aunt Ruby is dead he has been able to sustain his relationship with her by seeing her children. Her son is a professional golfer and Herbert got to play a round with him. Just five years ago, he met her daughter for the first time. Herbert was using a GAC camera to take pictures. 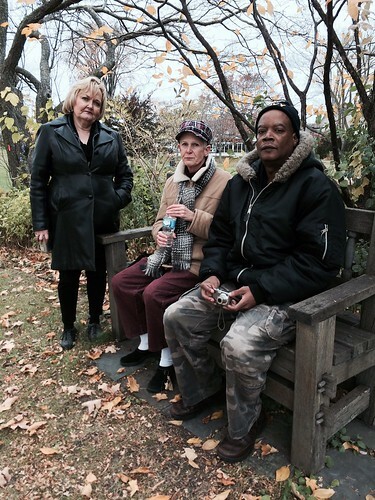 In the second photograph for this post, he is sitting next to Deb, with Colleen standing to the side. They are at one of the highest spots at Lynden, where we went to view the grounds on this gray day. After our walk, we warmed up in the Lynden gallery. As we looked at a painting, Colleen explained that in the Renaissance it took six months just to prepare a canvas for painting. The rabbit-skin glue and gesso took this long to dry. She is grateful for modern materials that allow her to paint right away. Executive Director Polly Morris mentioned that artist and educator Paul Druecke would be bringing out a class from the Milwaukee Institute of Art & Design and suggested I contact him. This excited me! 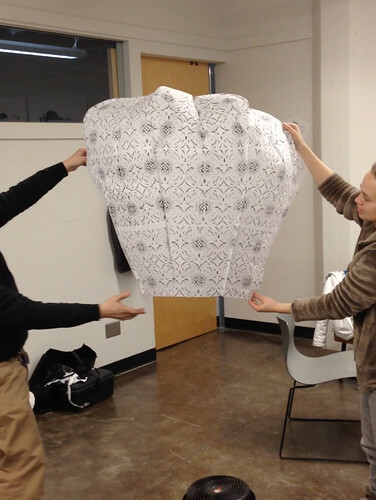 I used to teach at MIAD and the students tend to be full of ideas. They proved true to form. I pulled up in front of MIAD at 4:20 on October 16, 2014. The class, titled "Post Studio Practices," has seven students. Paul, who has a temporary installation at Lynden, asked if my walk and talk about distance could include all of them. I had prepared eight questions, so one for each student plus Paul. Perfect! After the two carloads of students met up at Lynden, I walked with them to three of the temporary sculptures, Sightseer, Feast, and Seedpod, as well as Open-Air Writing Desk, while I asked questions. Two topics came up repeatedly when they responded. Many brought up the importance of distance. They appreciated being away from their families in order to develop their own identities. 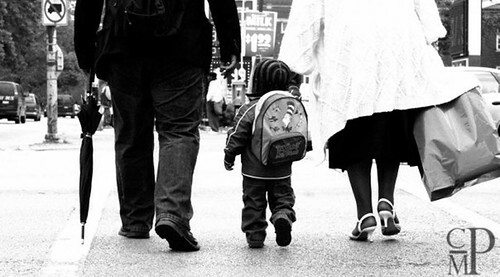 “I needed breathing space from my family,” is how one student put it. In another case, a student realized she was mimicking her parents in ways she wanted to change. A third student explained she had developed a closer relationship with her father from a distance. “We were not in the moment,” she said. On the phone they were able to talk about family dynamics and then work through problems in what she described as “a healthier way” when she returned home. A number of students had strong reactions about technology and distance. Michael Collazo called Facebook “fake” because people create a certain persona. Two agreed with Michael and gave the example of students getting scared off by assertive Facebook comments that didn’t really express a person’s full personality. Some said you present yourself in a certain way no matter when or how you communicate. Evin Sagduyu has grandparents who live in Turkey. His family used to visit every summer, but it has been four years since the last trip. “Skype is not the same because you aren’t interacting,” Evin said. “When I am there I am involved; Skype is a routine.” Nick Kinsella, in counterpoint, sometimes feels closer to people he communicates with online who live in other countries than with people in the same room. Two surprises happened. First, we got lost. Of course we weren’t really lost. It is impossible to lose sight of the service road or the pond. However, on our way over to view David Robbins’s Open-Air Writing Desk, we approached it using a different route than I usually take. Paul and I both needed to backtrack to find it. I like getting disoriented. It shakes up my senses and I notice things I hadn't before. I have explored Lynden day and night, and during all four seasons of the year, but had never experienced sunset. The picture shows my first. The sky cleared an hour before we departed from MIAD after days of rain and clouds making it an extra-special second surprise. In the second half of its eleventh cycle, the Fund provided assistance with shipping and travel to seventeen individual artists. These artists—six of them past Nohl Fellows—work in a range of media. Their exhibitions took them to Anchorage, Alaska; Kansas City, Kansas; Bangor, Maine; St. Mary's City, Maryland; Detroit and Grand Rapids, Michigan; Canton, Missouri; New York, New York; and Kenosha, Wisconsin. Destinations abroad included Quebec, Canada; Shanghai, China; Varennes-sur-Loire and Yerres, France; Ballyvaughan, Ireland; Malaga, Spain; and Amsterdam, The Netherlands. 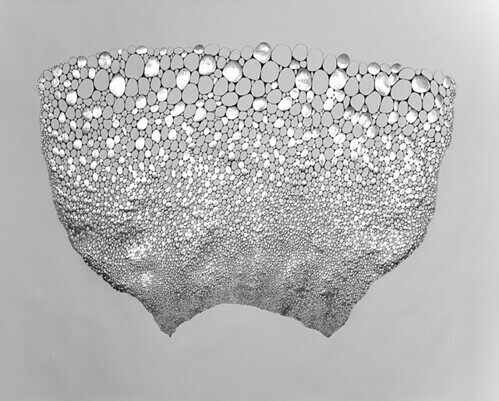 2012 Nohl Fellow Lois Bielefeld received support for Androgyny, a solo show at The Rita at the University of Wisconsin-Parkside in Kenosha. The exhibition explores the power and complexity of gender identity in a series of photographic portraits, videos, and a large-scale installation. As the recipient of a major award in a national juried Watercolor U.S.A. Honor Society exhibition, Christine Buth-Furness had a painting selected for Watercolor Now!, the 2014 WHS Small Works Exhibition in the Mabee Art Gallery at Culver-Stockton College in Canton, Missouri. 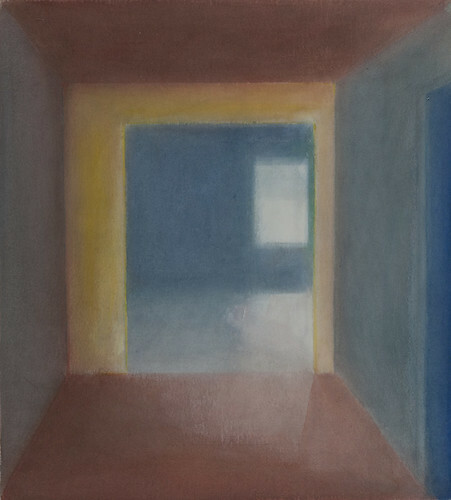 Cecelia Condit, a 2004 Nohl Fellow, traveled to Ireland for A Stone's Throw, a solo exhibition at the Burren College of Art Gallery in Ballyvaughan. She showed a three-channel video installation, shot in Ireland during a prior residency, and large-format composited photographs. 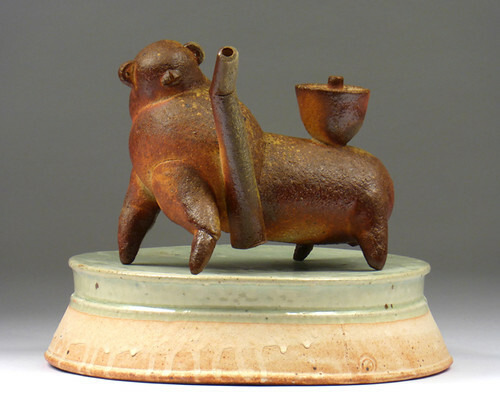 Christopher Davis-Benavides and Karen Gunderman both traveled to China to participate in the 2014 Fourth Biennial Shanghai International Contemporary Porcelain Art Exhibition at the Shanghai Arts and Crafts Museum and the International Modern Pot Art Museum in Yi Xing. They exhibited their work, lectured, and served as members of the international awards selection committee. Paul Druecke (Nohl Fellow 2010) was invited to exhibit a new public sculpture as part of the Marlborough Gallery's Broadway Morey Boogie in New York City. The group show of outdoor sculpture by American contemporary artists extends from Columbus Circle to 166th Street on Broadway. 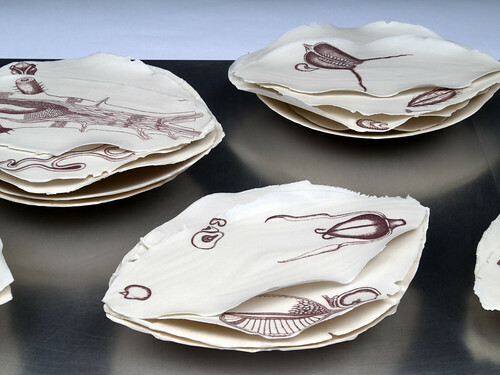 Sally Duback is making two trips to Grand Rapids, Michigan to participate in ArtPrize 2014. 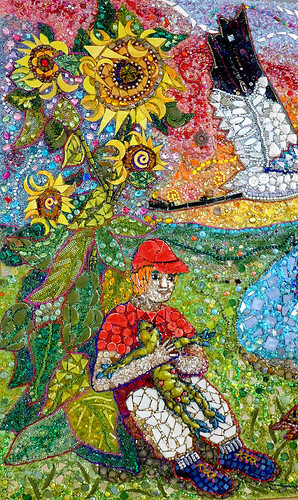 She is exhibiting Nature's Children, a large mixed-media mosaic. Jenna Knapp will spend two weeks in Amsterdam at Kulter, an independent gallery and a collective that organizes projects at relevant sites. 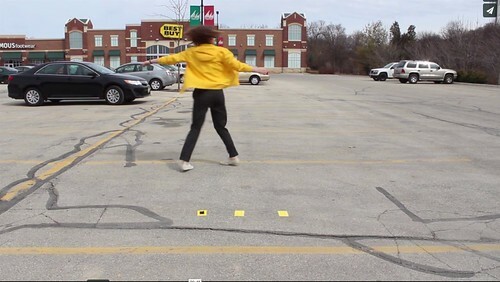 Knapp, a recent graduate of the Milwaukee Institute of Art & Design, will be participating with other artists, musicians and performers in a site-specific group show. 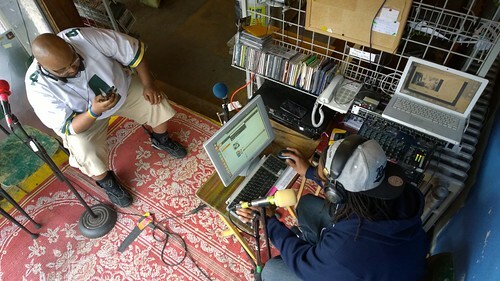 Xav Leplae and his Riverwest Radio project (a neighborhood radio station that broadcasts live from the window of his Riverwest Film & Video store) have been invited to participate in the Detroit iteration of The People's Biennial, a traveling show curated by Jens Hoffman and Harrell Fletcher. 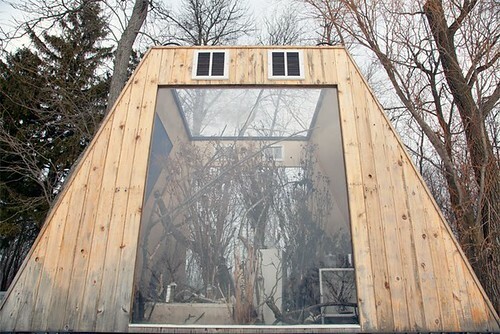 Leplae, a 2008 Nohl Fellow, will travel to MOCAD (Museum of Contemporary Art Detroit) with three other Milwaukee artists to create and activate a fantasy web radio installation inside the museum. Patrick Lichty traveled to Anchorage, Alaska for a solo exhibition at the Institute for Speculative Media at Out North Contemporary Arthouse. He also taught a workshop on drone cinema using a DJI Phantom Drone, and continued his field research in Alaska, using his drone for artistic purposes, mapping and scientific study of global warming at the Exit Glacier in the Kenai National Forest. As a finalist in the 6th edition of the Pollux Awards, Joseph Mougel was invited to exhibit Blanc 016 in the 3rd International Biennial of Fine Art and Documentary Photography at the Municipal Heritage Museum in Malaga, Spain. 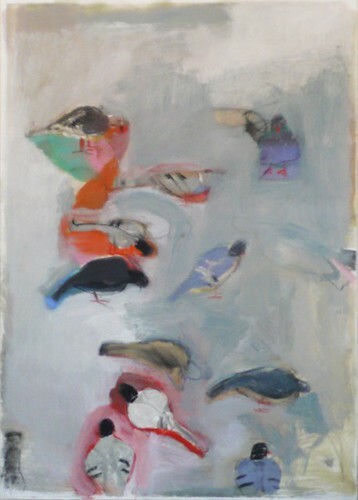 Mark Mulhern, a 2003 Nohl Fellow, exhibited works from his pigeon series in the gallery at Le Manoir de Champfreau in Varennes-sur-Loire, France. Aptly, the gallery was entered through a 16th-century pigeonnier. Mulhern, who also makes artist books and monotypes, met with curators at the Bibliotheque Nationale in Paris. 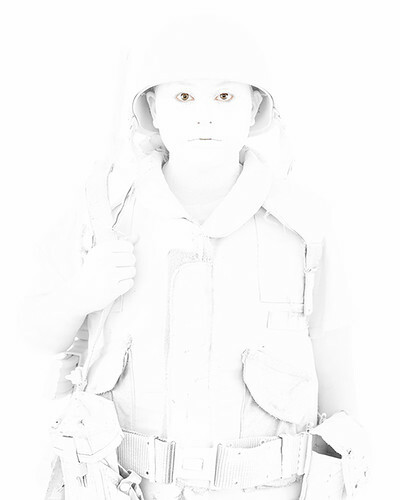 Christopher McIntyre Perceptions received support for a solo exhibition of his photographs at KAHBANG Arts, a nonprofit arts organization in Bangor, Maine. Colette Odya Smith has been invited to be the guest of honor of the Societe des Pastellistes de France at their fall international exhibition of pastel paintings at the Caillebotte Park in Yerres. She will exhibit fifteen paintings and meet society members in Paris and at the public opening reception. 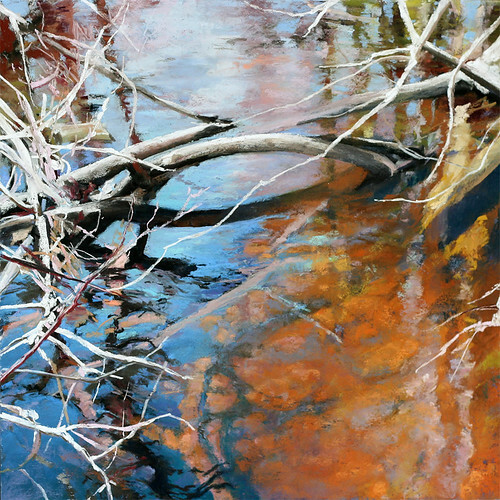 Lynn Tomaszewski will travel to St. Mary's City, Maryland, for a solo exhibition at the Boyden Gallery at St. Mary's College of Maryland. Tomaszewski will be exhibiting paintings, large wall drawings, and two interactive installations. Christopher Willey received support for Lanterns, a collaborative exhibition/installation with Tonia Klein at The Hown's Den: A Nomadic + Domestic Exhibition Space in Kansas City, Kansas. The work references doorknockers and lanterns that Willey saw in China, and incorporates Klein's screen printing practice. From the Wild Side is a recurring feature on our blog. Author Bob Retko has been on the staff at Lynden since 1966. 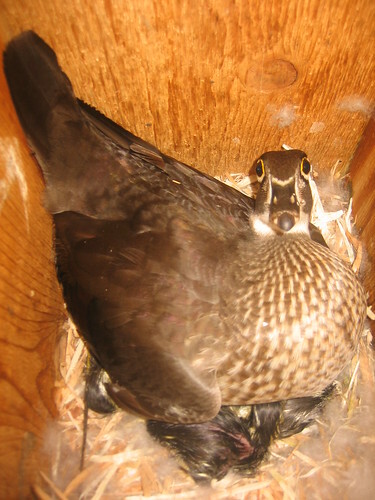 Above is a photo that I took this morning of a hen wood duck in one of our wood duck nest boxes. She started incubating in early May and, as you can see in the photo, it appears that the ducklings are in the process of hatching. After hatching they will remain in the box for about a day. The hen will then leave the box and check the surroundings for predators. When she has determined the area is safe, she will call to the brood. The ducklings will respond to her call by climbing up the wall of the nest box and one by one jumping from the entrance hole. They will drop to the ground, sometimes from a high nest cavity in a tree. When the nest is over dry land the ducklings often bounce and are not harmed by the fall. Once the ducklings have left the nest box the hen will assemble the brood and lead them to water where food and cover are abundant. The ducklings will not return the nest box, unless they return as adults in following years to incubate a clutch of eggs. At Lynden, once out of the nest box, a wood duck hen and her ducklings may only stay on our ponds for a day or two at the maximum. The hens generally find other waters that have better overhead cover to protect from predators. In the first half of its eleventh cycle, the Fund provided assistance with shipping and travel to fourteen individual artists. These artists—five of them past Nohl Fellows—work in a range of media. Their exhibitions took them to Birmingham, Alabama; Weed, California; DeKalb, Illinois; Indianapolis, Indiana; Winona, Minnesota; Galloway, New Jersey; Columbia, South Carolina; Murfreesboro, Tennessee; Johnson, Vermont; and Blacksburg, Virginia. Destinations abroad included Vienna, Austria; Reykjavik, Iceland; Trondheim, Norway; and Hanoi, Vietnam. Back in 1928 when Mr. & Mrs. Bradley acquired the property that is now the Lynden Sculpture Garden the land was being farmed and pastured. What is now the Village of River Hills was rural and agricultural, with fields and woodlots that contained a more diverse population of native forbs, grasses and woodland plants than River Hills has today. 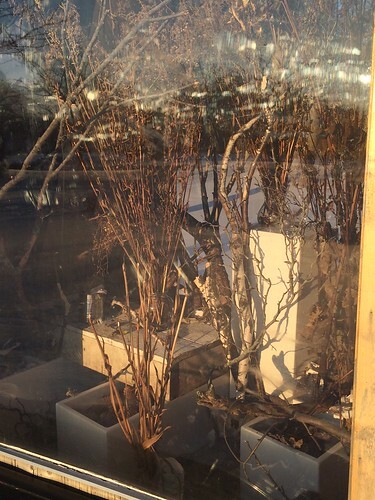 While there are many factors that reduced the diversity of the Village’s flora, perhaps one of the biggest negative factors has been the impact of invasive plant species such as buckthorn, honeysuckle, garlic mustard and reed canary grass. 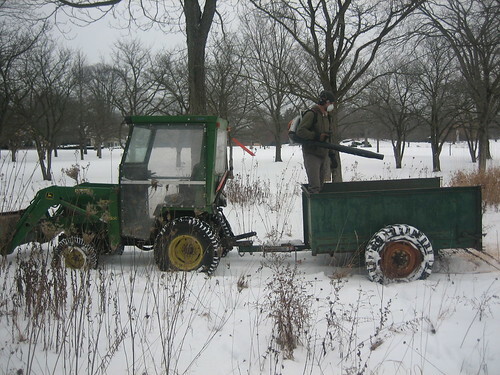 Prior to about 1990, while an effort was made to control some of the major invasive woody plants such as buckthorn and honeysuckle at Lynden, most of the control efforts failed to keep pace with invasive brush regeneration. In recent years, with the acquisition of a tractor mounted rough cut mower and more effective herbicides for controlling re-growth, the biomass of woody invasives has declined dramatically. In an effort to add more plant diversity to Lynden’s natural areas, the staff has planted both transplants and seeds of native forbs and grasses. If you have walked the trails during the peak of the bloom in mid-July you will see many prairie plant species that did not exist at Lynden just ten years ago. While great strides have been made to restore native plant diversity there are still many field areas dominated by cool season turf grasses or plants like sweet clover or wild carrot. Late fall or early winter is an excellent time to disperse native plant seeds collected earlier in the season. Our favorite time is after the first snow of the season. The snow allows you to see your coverage pattern and the seeds will rest over the winter, receiving a cold treatment that allows them to break dormancy in spring. The freeze and thaw action over the winter and spring will also allow for better seed to soil contact. 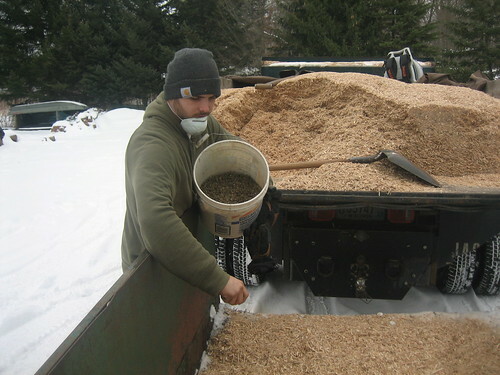 One method we utilize at Lynden involves sawdust, a box-type trailer, native plant seeds and a leaf blower. This method can be used by anyone wanting to add plants to their native plant area, filling voids in the landscape. It may not be as sure-fire as planting transplants or drilling seed into a prepared seedbed but it is easy, cost-effective and fun to do. First, as native plant seeds ripen during the late summer and into the fall, collect seeds in the field. Not all seeds ripen at the same time, therefore one has to monitor the seed ripeness of the target species. Store the seeds and/or seedpods in brown paper bags in a cool, dry location, making sure the seeds are dry and do not mold over. Brown lunch bags work great and you can buy 50 for a $1. If you are collecting seeds on property you do not own, make sure that you have the permission of the landowner, or the state or federal property manager. Second, once you have completed harvesting all of your seed species and the seed material is dry, break open any pods, flower heads, etc. Do not worry about cleaning the seeds of petal, hulls, or other debris. 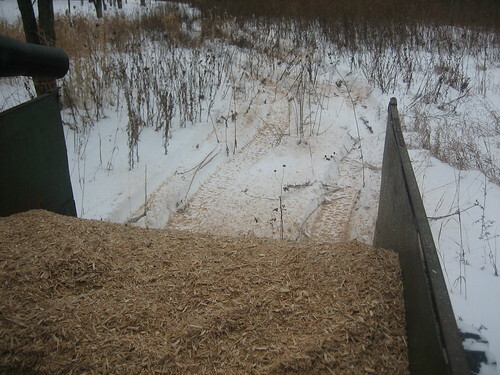 Third, locate a source of untreated sawdust, wood shavings, or fine wood chips. Avoid chips made from curbside brush, as there is a potential for invasive plant seeds being mixed in at the time the brush is chipped. Fourth, place a layer of sawdust in your container, then a fine layer of seeds, followed by another layer of sawdust. Repeat until you have the desired volume in your container, trailer, etc. Fifth, disperse the seed/sawdust mixture across the area you intend to seed. 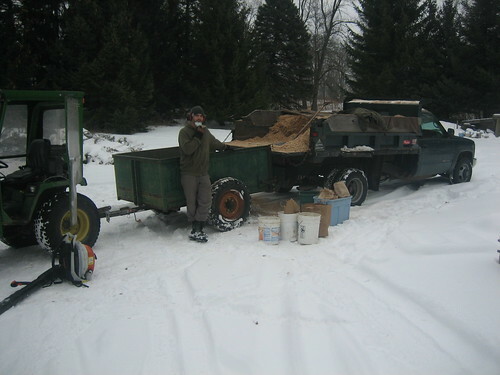 If you load your mixture into a trailer or other vehicle cargo box, one person can drive the vehicle slowly while another person blows the seed/sawdust mixture out of the cargo box with a leaf blower in a controlled manner. For smaller areas all one needs to do is broadcast the mixture by hand. Early winter is a great time to add to the diversity of the landscape you manage. You might not see the results the first year or two, as most prairie plants take that time to establish their root systems. However, you will be surprised in the years ahead to find some native plants you had not seen on your property before. If someone should ask you about them, you can take the credit for your seed dispersal efforts.